Part Lisbeth Salander, part Jack Reacher, part Jessica Jones, Nikki Griffin is a kickass character who readers will root for as she seeks to right the world's wrongs. S.A. Lelchuk’s Save Me From Dangerous Men marks the beginning of a gripping new series and the launch of a fabulous new character. S.A. Lelchuk holds a master's degree from Dartmouth College, and lives in Berkeley, California. 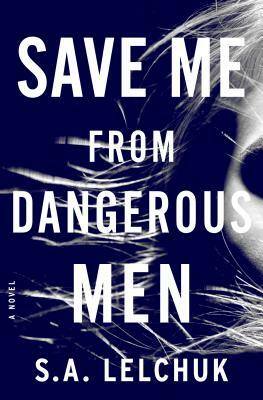 Save Me from Dangerous Men is her debut novel. “Nikki's fight scenes are satisfying, clever, and exciting...Bookworms will love the references to classic novels, and Lelchuk winks at Nikki's similarities to a certain well-known literary vigilante. A timely and totally badass debut." “Terrific debut… This intelligent, action-packed thriller will resonate with readers as it touches on such themes as domestic violence, the widening gap between rich and poor, and the intrusive potential of advanced technologies like artificial intelligence...But the book’s real appeal stems from its powerful, distinctive protagonist." "Save Me From Dangerous Men is a helluva ride: a fast-paced neo-noir with a stellar new heroine at its core. Comparing Nikki to Lisbeth Salander is inevitable—a supporting character even calls her Lisbeth—but she also owes half of her DNA to old-school, hardboiled private eyes like Sam Spade and Philip Marlowe...With its balance of terse dialogue, real stakes, literary love, and thrilling badassery, Save Me From Dangerous Men is a must-read for fans of neo-noir and powerful women. Nikki Griffin is far too compelling and exciting to be a one-off character, and we can never have enough vigilante ladies—with any luck, Lelchuk will oblige us with a full series."